So you have decided to go with discount hardwood flooring, but do you have any idea specie of hardwood to choose. Today we will research some amazing choices in wood species so that you can decide what is best for you. People rarely do the research and go with what catches their eye, which is a good way to do your floor shopping, however we typically see that in the long run, depending on the specie of wood you are using, installation and care of the particular specie can be vastly different. It is always best to know what you are getting into ahead of time. 1. Hard Maple - Also called Sugar Maple, it is a very common type of hardwood flooring. It is absolutely stunning in just about any setting. Hard maple is mainly used for flooring, furniture and guitar necks. Even though it is beautiful and finishes great, it is one of the most difficult species of hardwood to work with. This is mainly due to the density of the wood. Don’t let this scare you however, if you are having it installed by a professional more than likely they have worked with this wood type quite a bit. On the Janka Hardness Test it scores a 1450. 2.Walnut - Walnut is among the most versatile trees on Earth, and it is great to work with. Typically mature walnuts can grow to over 100 feet, although most average between 60 to 70 feet. Durable is in this species nature as some live for 200 years. Black walnut is the go to walnut for flooring. California is home to over 125,000 acres of Walnut trees. On the Janka Hardness Test black walnut scores 1010 which makes it a bit easier to install. 3. Oak - White and red oak, are seen a lot in flooring, and are a very common choice for hardwood in the home. 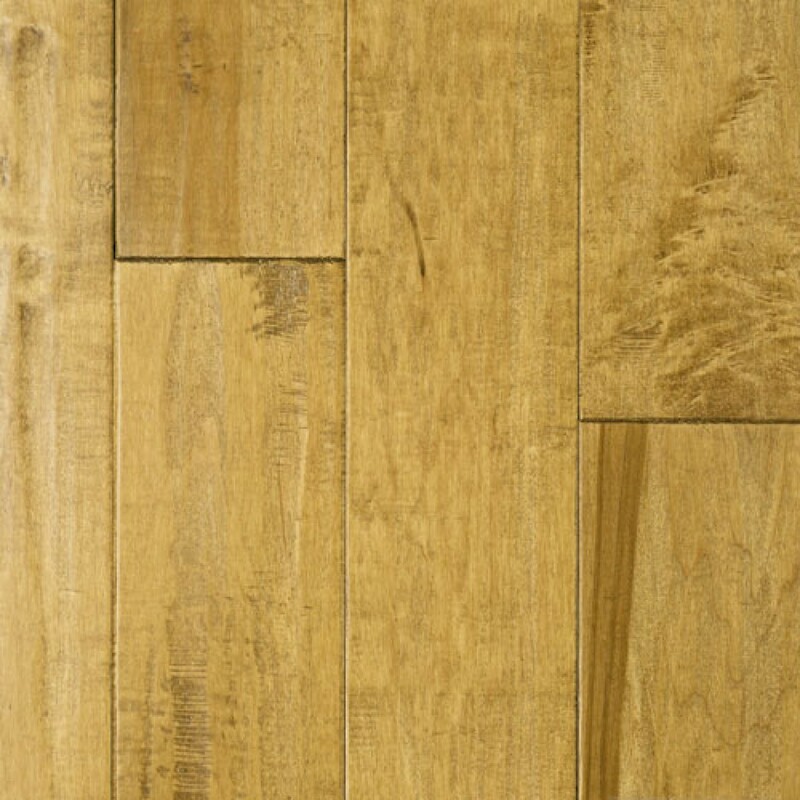 White oak has a uniform straight grain, and it undergoes a medium degree of color change over time. It takes on an amber color, and has a Janka Hardness of 1360. Red Oak has a stronger open grain, and is very durable when it comes to flooring. You will see this specie a lot in discount hardwood flooring. With a Janka Hardness rating of 1250 it is slightly easier to work with than white oak. 4. Brazilian Cherry/Jatoba - This beautiful red toned tree, has an interlocking grain that sports a golden luster beneath. Hard, heavy and strong it is definitely a job for a professional to install. Jatoba changes color over time when exposed to sunlight, darkening to achieve a brilliant red tone, even darker than its original color. On the Janka Hardness test it has a whopping score of 2760 that is 115% harder than Red Oak. 5. Hickory - A hard and durable wood with a ton of character. Hickory has a white sapwood and in contrast a light brown color. This results in dark streaks in the flooring, which makes for a very interesting patterned floor, resulting in a country charm. On the Janka Hardness Test it falls in between our others entries with a score of 1820. 6. Tigerwood - Though not as common as most woods, this exotic Brazilian wood species has a very unique quality. The wood actually mimics the pattern of a tiger’s fur. 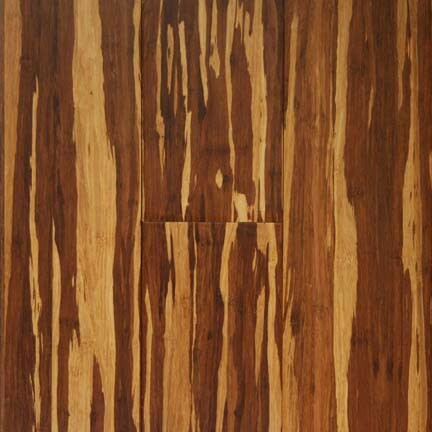 It has a dark orange color broken up with dark veins, which give it its tiger look, hence the name tigerwood. This wood is very durable and hard. On the Janka Hardness Scale it has a high score of 2160, and because it is an exotic wood choice it may behoove you to find an installer who is familiar with tigerwood. 7. Bamboo - Last, but certainly not least, we have bamboo flooring. Although it is classified by most as a hardwood species it is acully an extremely hard grass. Once ready for flooring application this wood has a golden yellow tone and sports an absolutely stunning knotted grain. On the Janka Hardness Test it scores an impressive 1600, not bad for a hardwood that is actually not a wood. 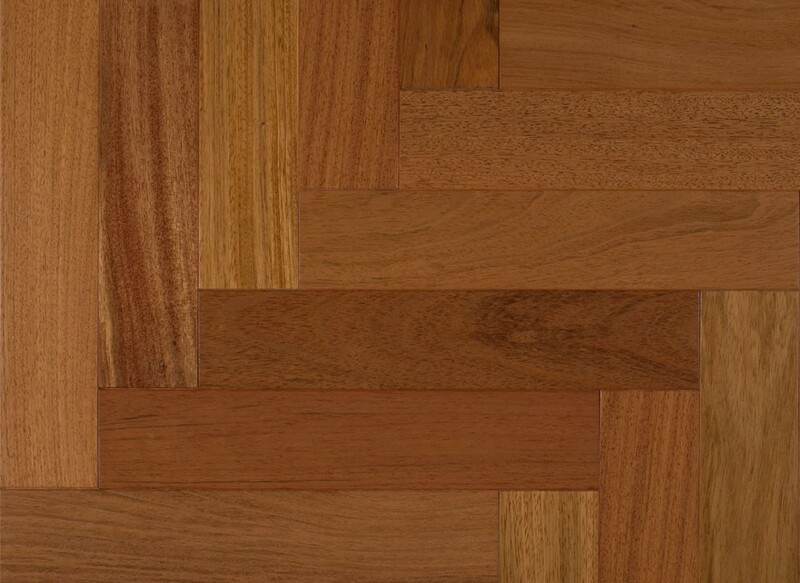 No matter what the specie of wood you choose, there is discount hardwood flooring available. But, whatever your tastes it is always in your best interests to have it installed by a professional who has worked with the particular species of your choosing.